Analyze the marketplace and customer needs and design a market strategy based on the product range. 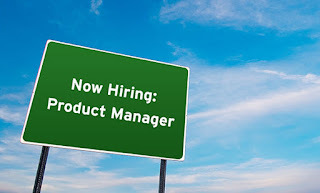 Support the Marketing Manager to define strategic direction and initiatives which drive growth across the product portfolio. Responsible for offline, online and promotional activation for all brands in line with the overall marketing plan and according to each brand's strategy. Responsible for the packaging process, developing and optimizing packaging design for all brands taking into account brand strategy, existing legislation and consumer expectations. Monitor competition activities, media, new product launches, line extensions, packaging improvements and promotional activities. Follow up Retail, Home panel and ad hoc research data, and prepare clear market reports for the top management. Bachelor or Master Degree in Marketing, Business Administration or Economic studies. 3-4 years’ experience in FMCG marketing department, responsible for brands promotional and media activation. Consumer understanding and good knowledge of marketing principles. Good knowledge of research tools, such as retail & home panels and Media KPI’s. Sales or trade marketing experience will be considered a plus. Proficiency in English. Knowledge of French will be considered an asset. Good communication skills, decision making and negotiation skills. Problem solving mindset and critical thinking. Strong organization skills and ability to interact and coordinate activities of several stakeholders. Date : 3/14/2017 09:08:00 μ.μ.